We provide our customers with the best possible technical support. If you need any help, we will be happy to find the answer to all your questions. Please submit a support ticket at http://support.filerestoreplus.com/ and we'll get back to you as soon as possible. The file(s) restored by FileRestorePlus™ are corrupt or not useable. What can I do to increase the likelihood of recovering useable data? If the files recovered by FileRestorePlus™ appear to be corrupt or aren't useable, this may be an indication that the files have been partially overwritten prior to recovery. That being said, corrupt files can also be caused by fragmentation of the original file. Please scan your drive again using FileRestorePlus' SmartScan Technology. The SmartScan Technology was specially designed to seek out the fragmented parts of deleted files, piece them back together, and systematically rebuild these files during the recovery process. FileRestorePlus™ did not find my deleted files. Is there anything else I can do? Yes. If the default scan did not locate your deleted files we recommend that you utilize one of FileRestorePlus' Advanced Scan Technologies, the SmartScan or the DeepScan. Not sure what Scan Technology or scan settings to use? Let the FileRestorePlus™ Wizard help you decide. Just click on the Wizard button at the top of FileRestorePlus™ and answer a few simple questions and the FileRestorePlus™ Wizard will select the optimal scan settings based upon your answers. Will FileRestorePlus™ help me recover email from my web-based email account like Yahoo or Hotmail? If you read your email through a web browser your email is never physically stored on your computer. For this reason there will not be any deleted email files for FileRestorePlus™ to recover. If you aren't sure what scan settings to use, FileRestorePlus™ can help you determine the best scan settings to use to optimize your file recovery. Just click the Wizard button at the top of FileRestorePlus™ and answer a few simple questions and the FileRestorePlus™ Wizard will select the optimal scan settings based upon your answers. I have utilized FileRestorePlus' advanced scan technologies but the files recovered still seem to be overwritten or corrupt. Is there anything else I can do to potentially recover some of my original data that may be stored in the files recovered by FileRestorePlus™? Yes, as we mentioned at the end of the previous FAQ, it is still possible to recover some or all of the original data from the files recovered by FileRestorePlus™. To learn what you can do, please read through the following steps here. I am trying to recover files from my camera, however, the camera is not showing up in FileRestorePlus™. What can I do? In order for a camera to show up in FileRestorePlus™, it must be recognized as a storage device and must be assigned a drive letter. This means that the camera must be "mounted" as a drive. When you plug the camera into the computer, you may see a message on the camera asking you if you want to "turn on storage." You can say yes. This will effectively make the camera a storage device and should assign a drive letter to the camera. 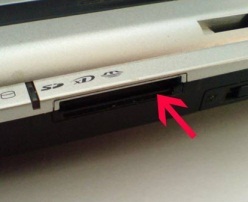 Alternatively, if your computer has a card reader, you can remove the memory card from your camera and place it into the card reader. The most important thing is to prevent the deleted file from being overwritten by another file. To do so, avoid any use of the drive in which the file was erased until the file is recovered. Also, remember that FileRestorePlus™ should not be installed to this drive. Install it to a USB flash drive if no other drive is available. Can FileRestorePlus™ recover files from a CD or DVD? FileRestorePlus™ does not support file recovery from CD or DVD. You will need to search the Internet for CD or DVD recovery software.